. استمتع بالخدمات الراقية والضيافة التي لا مثيل لها بهذا الفندق في تونزفيل. يمكن للنزلاء الاستمتاع بالميزات التالية: خدمة حجز التذاكر, مرافق مخصصة لذوي الاحتياجات الخاصة, تسجيل وصول/خروج سريع, تخزين الأمتعة, واي فاي في المناطق العامة أثناء إقامتهم في هذا المكان الرائع. استمتع بوسائل الراحة الراقية في الغرف أثناء إقامتك هنا. بعض الغرف تتضمن تلفزيون بشاشة مسطحة, غرف لغير المدخنين, مكيف هواء, مكتب, شرفة/ تراس لمساعدتك على استعادة طاقتك بعد يوم طويل. يقدم الفندق مجموعة رائعة من الخدمات كمثل ساونا, حمام سباحة خارجي, سبا, حديقة, غرفة ألعاب، لجعل إقامتك تجربة لا تنسى. إن كنت تتطلع إلى إقامة مريحة وهادئة في تونزفيل، فستجد في Waters Edge The Strand بيتك الثاني. The great location, the staff members and the price of the accommodation. Our stay here was superb and made doubly so because of the wonderful staff, particularly the effervescent, Sue, who is everyone's friend and assistant advisor. The Strand is a marvellous walking domain and this accommodation site is so central to it all. You could not do better in Townsville, nor any city, for that matter, given its location and price. The hotel is in a great location on the Strand, close to parkland and cafes and restaurants with Bayview looking over the sea. 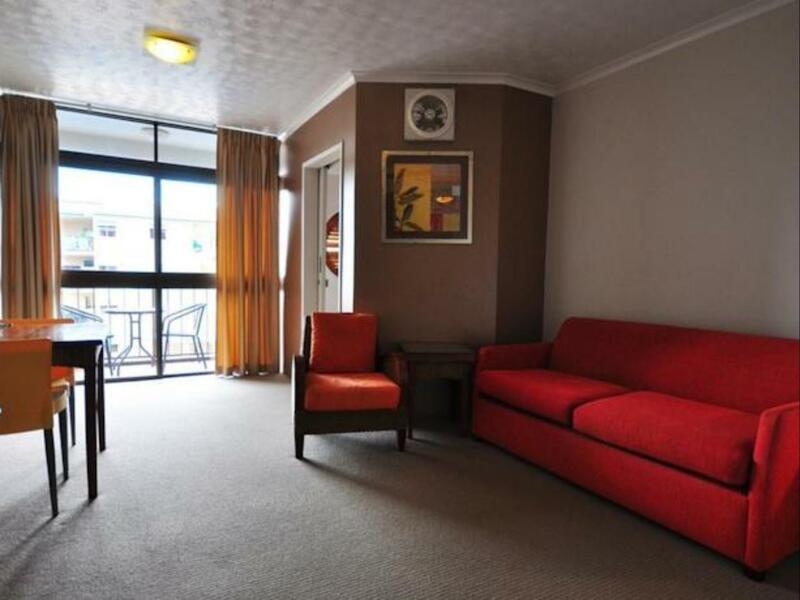 The staff were friendly and helpful and the rooms very clean. However, it is dated and badly in need of a refurbishment. The sofa bed was a torture rack and impossible to sleep on. The bathroom was lacking towel rails which surely is a basic requirement. Having said that, I would stay there again as it represents value for money. Plenty of undercover parking, lift was prompt, receptionist was helpful. The added touch of pump bottles of shampoo, conditioner, shaving cream, body lotion, shower gel and hand wash were very convenient. The shower tap placement was difficult as you were hit with the water before you had time to adjust the temperature and there was no indication of hot or cold. Lousy selection of tv stations. Air con worked well. My partner and I stayed here for a week. 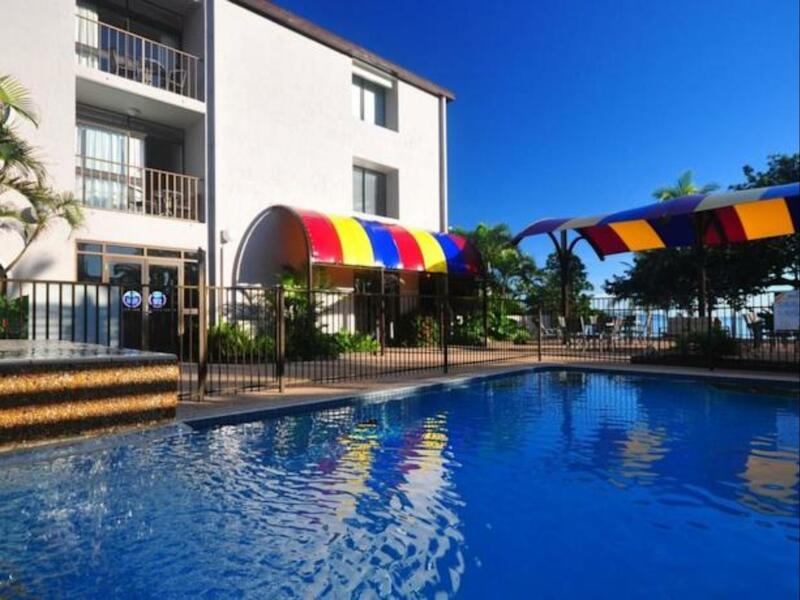 The motel is in the most perfect spot on the strand, you are close to everything and is so easy to get to. Our room was beautiful, the bathrooms are a little outdated but the little deck and size of the room made up for it. We loved the BBQ and pool and everything was so clean. We definitely will be back. We stayed at the water's edge for a week. The room was spacious and had a basic kitchenette. The bed was comfortable and there was a usable balcony and even the complimentary tea coffee and milk was refreshed each day. Good air conditioning was easily controlled. The staff were so friendly and helpful it made out stay stress free. You can hire a pool towel for the week and we made use of a reasonable size pool complete with sunbeds. 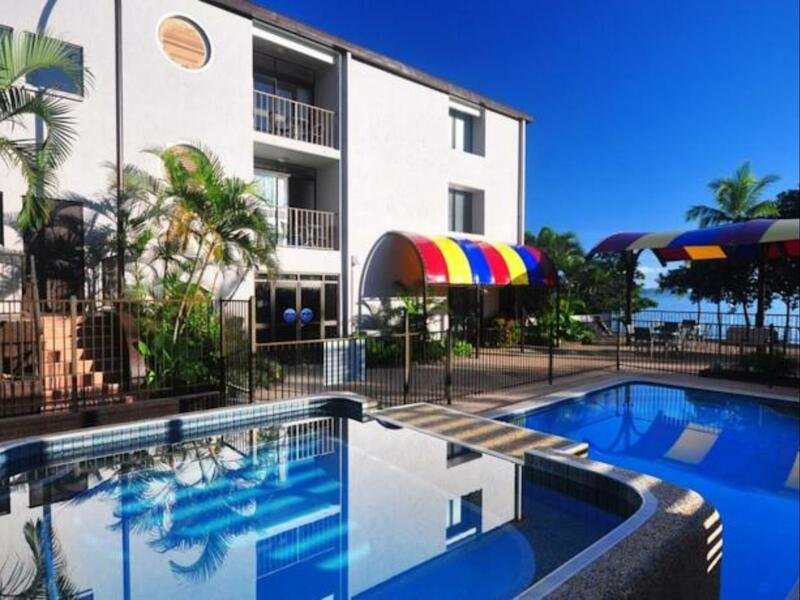 The location is good, easy to get to the city centre and Magnetic Island ferry. The are plenty of places to eat very close by although not all are open every day. I would definitely recommend this place. I love this place. Not four star but definitely comfortable, quiet, staff are all very friendly. 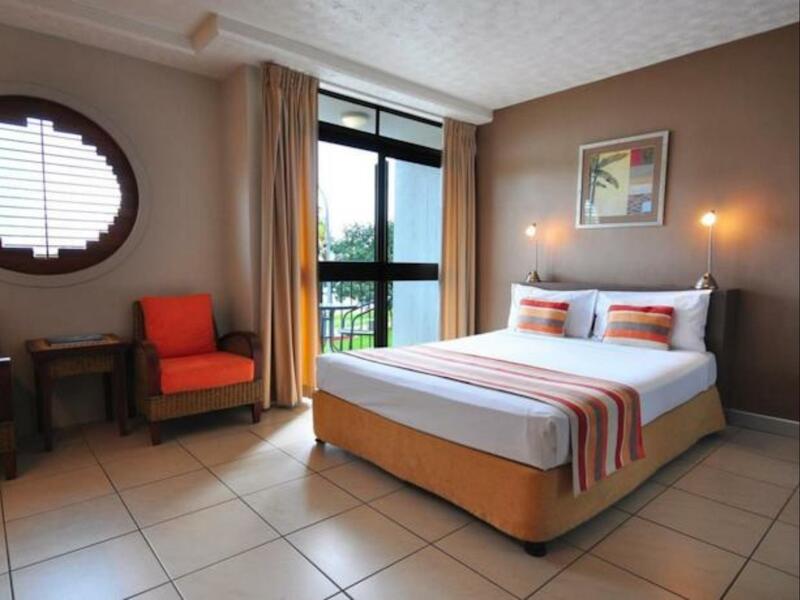 Nice pool and lovely views of water from ocean view rooms or from poolside area. Lots of cafes and restaurants within a few 100 metres and self catering facilities if you can be bothered!!! we have stayed at Waters Edge a couple of times now and have found it a great place to stay. Staff are very friendly and helpful. Stayed in a courtyard room this time and it was great, easy access to the pool and barbie area. Would recommend Waters Edge to anyone wanting a nice, clean and good location. When I arrived Reception had already closed, but the key collection process was super easy. I was impressed by how well-appointed the kitchen was. The downside was that I couldn't go out on the balcony due to neighbours smoking - it would be great if the balcony/courtyards were smoke-free too. But other than that it was a lovely stay in a great location and I'd not hesitate in recommending it to a friend. We had two Courtyard Studios for 5 nights in late September. Great rooms - bathrooms a little aged but still very functional (parents stay in a different room a couple of days earlier with a refurbed bathroom). Rooms clean and kitchen well stocked with cooking essentials. Right on The Strand - heaps of restaurants & cafes. Coles just a five minute stroll away. Convenient to everything. Pool area great. BBQ area is a fantastic idea - makes cooking easier. Has secure parking available. All staff were pleasant and very helpful. Laundry facilities available - $3 per wash. Clothes airers in the room. Courtyard room was a brilliant size & quiet. Bathroom was very clean, but a bit tired. That said, having stayed in another room a few days before we know they are being updated. The location is great, especially if you don't have a car - close to eating places, supermarket & shops. Taxi fare from the airport was just under $20 & under $10 from the railway station. The Strand is brilliant for walking or just sitting & watching the world go by, including the nesting curlews. Spent a delightful return visit to this motel centrally located on the Strand. Great balcony views over the bay from a large comfortable room. Bathroom was clean with a shower over the bath and supplied toiletries.Will definitely stay again when we return to Townsville. Great location on the strand, we walked to dinner and breakfast locally which was great. Building is an older one and hallways reflect this but the room had been redecorated to make it more modern which was nice. Good sized room- we had a portacot and there was plenty of room for this. Very handy to have the kitchenette when travelling with a baby. Small balcony which overlooked the pool, neither of which we used. Aircon worked well, comfortable bed, quiet room even though we were beside the lift. Great location and good value, would recommend and would stay again next time we visit.